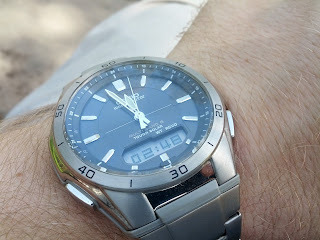 In today's review I will be testing my all new watch Casio WVA-M640TD-1AER. 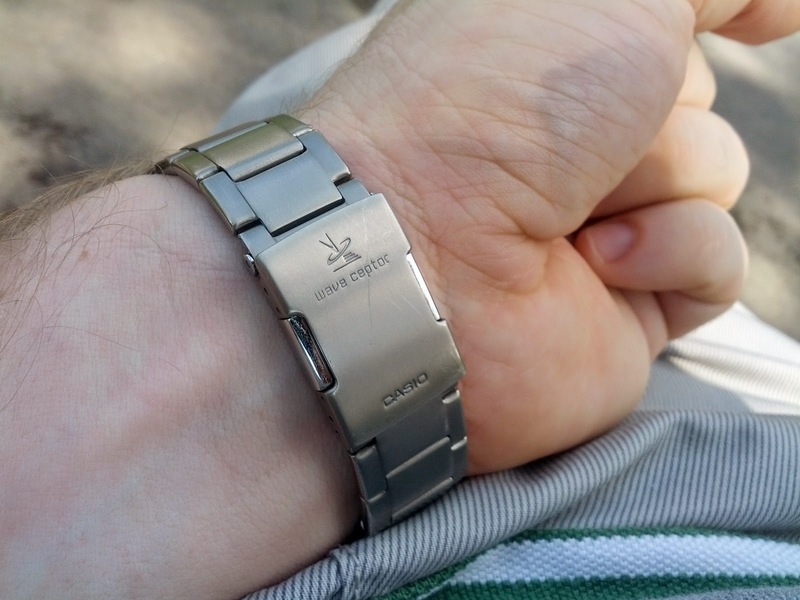 Actually I have already been with this one for a about a week so I will not only share its specs but also my first impressions on this radio controlled titanium watch. 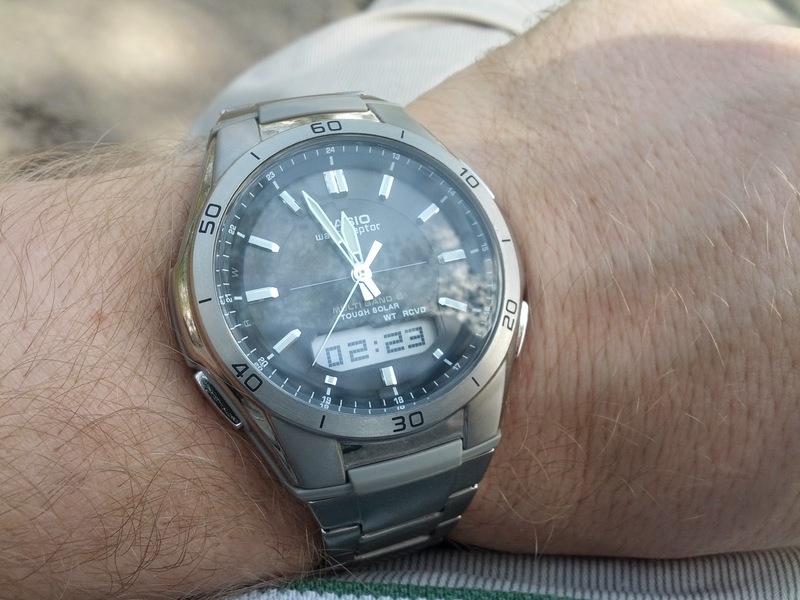 To begin with this is my second Casio titanium watch and I am very pleased with it - I have it for more than 10 years and from what I remember I changed battery only once so far. The main feature that drives most people into buying titanium watches is the fact that their are extremely lightweight and also very comfortable compared to standard stainless steel watches. The WVA-M640TD-1AER weighs only 90 g which is about half the weight of an average steel chronograph. And here is my new smartwatch K88H reviewed. Casio WVA-M640TD-1AER looks very simple and yet elegant which is perfect for everyday use. It will definitely fit any casual outfit including sportswear. I myself really like the clean design and the comfort this watch offers. What also impressed me is how quick and easy the length corrections of the titanium band are made thanks to a small plastic device that is included in the package. It took me literally 2-3 minutes to adjust the preferred length on my watch. This titanium Casio watch is solar powered (solar cell provides power for operation) but it also keeps accurate time thanks to its radio technology. What the Wave Ceptor technology does is detect and receive signal from any of the towers located around the Globe and automatically sets the correct time with very high accuracy once the signal is in reach. Casio WVA-M640TD-1AER has plenty of other interesting features which you can specifically find in the official Casio website. The best thing about this watch is that no matter the cutting edge technology implemented in this cool gadget it remains relatively affordable offered at just a bit above $200. So if you are searching for a cool chronograph watch which is also extremely comfortable I would strongly recommend you the Casio Wave Ceptor WVA-M640TD-1AER. 2018 update: I am still wearing this smartwatch on a daily basis and it is super comfortable. 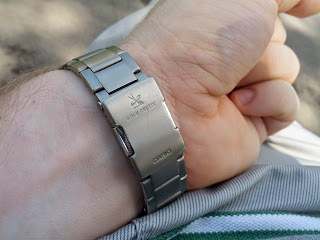 It is one of my all time favorite Casio watches. Yes, it is not a design piece but those who like simple and elegant watches with extremely lightweight and durable bracelet, then the Wave Ceptor WVA-M640TD-1AER is the one for you. I would be happy to hear from other Casio owners in the comments section. Please let me know what you think about this watch or the one you are currently having. Thanks!